In his new podcast series, Keep the Channel Open, San Diego-based photographer and writer Mike Sakasegawa sits down with artists from various disciplines to discuss their processes, their ideas, their struggles and the ways they work to overcome them, their thoughts on art, and what lights that fire in their bellies to make more of it. I am humbled to have had the chance to speak with such a thoughtful individual, and to have been a guest for his inaugural episode! Thank you, Mike, for your insightfulness and for the reminder to keep the channel open! I am proud to have my artwork published in the December Issue of Pacific Magazine (page 40) to announce my show, Lifeline, on display at Oceanside Museum of Art from December 16, 2016-March 5, 2017! I have been invited to present at UCLA's History of Asian Americans class to add onto Dr. Jean-Paul R. deGuzman’s message that “history is not something isolated into a textbook, but is a constellation of causes and conditions in which our families and ourselves are swept up and in which we make choices”, by focusing my workshop on how visual art can play a pivotal role in helping shape our personal, familial, and communal identities by opening up a space for discovery through storytelling. I hope to encourage the students to spend time with their elders in order learn more about their family history, our collective histories, and in this, find a path toward healing. A special thanks to Dr. Jean-Paul R. deGuzman for the invitation! I have been invited to present my work as part of a year-long celebration entitled “Homescapes/Warscapes 25/30”, which commemorates the 25th Anniversary of the Department of Asian American Studies and the 30th anniversary of the Southeast Asian Archive. The concept of “homescapes” highlights how Asian people have been displaced from their "home" countries, either voluntarily or involuntarily, and how they have sought to recreate a sense of “home” in the U.S. “Warscapes" speaks on how militarism in the Pacific World and across the Asian continent has played a central role in displacement of Asian people from their home countries. Wars destroyed homes, created the need for new ones, and facilitated the formation of hybrid kinship structures and identities. Luke was on a site visit to prepare for his upcoming show, and I met him just days prior to our performative session. During his time here, we discussed war and freedom, art and action, flow of sound, sitting at the piano together to share our methods, ideas, and inspirations. I was fortunate to have had the brief time with him. Just a couple hours before his flight back home to Australia, we were able to squeeze this session in to experiment with sound, movement, and the vibrations upon which they meet. While Luke played this intuitive piece, using a line of symmetry with his fingers mirroring each other, I also worked from center, echoing this symmetry as I translated the sound and vibration into paint. This piece is the physical embodiment of letting go, of keeping centered, and finding and creating that meditative space within a humming and swirling atmosphere. In February, I began my artist residency with Community Engagement, and as we enter into its second year, we will be hosting our first fundraiser and public unveiling. Community Engagement's mission to bring creative into low-income communities through the social practice art medium has been met with great community support, and we look forward to celebrating with you as we root deeper into these seasoned relationships, and grow into new ones. Please join us as we share with the public the beautiful relationships and experiences that have blossomed in the communities we serve. Support our event by purchasing tickets and learn more about sponsorship opportunities. Read more about my work with Heninger Village and learn about how art has brought new growth into their community. Thank you to our Community Sponsors for growing with us: Bowers Museum, Natural Baking Company, OC Weekly, Pacific Symphony, South Coast Repertory, Vietnamese American Oral History Project at UC Irvine. For this year’s conference, I will be presenting with fellow interdisciplinary artists John Le (Chicago), Ly Hoang Ly (Vietnam), and Patricia Nguyen (Chicago), whose work is rooted in the fields of painting, sculpture, performance, sound, and architecture. Our panel offers the concept of dwelling as the creative practice of calling upon home and memory; dwelling as an act of being present in the depths and difficulties of memories to tell another version of history, specifically in the period after communist revolution and war in Vietnam. Grounded in oral histories of Vietnamese and Vietnamese Americans, the panel deals with the politics of memory and what it reveals in the aftermath of the Vietnam/American War both in the diaspora and in Vietnam. Each artist will speak on how oral histories and contemporary art has served as methods of engaging Vietnamese communities to unearth histories of violence to cultivate spaces of healing, rituals of placemaking, and public interventions through acts of remembering. Come spend an evening learning about Grand Central Art Center, connecting with new and returning grad/undergrad students, CSUF alumni, COTA admin, artists, local art leaders, and educators. This evening offers appetizers and light refreshments, workshops facilitated by Artists-in-Residence Kenyatta A.C. Hinkle and Tyler Matthew Oyer, networking, open studio tours with Artists-in-Residence Amy Sanchez, Misael Diaz, and *yours truly*, and a tour of Grand Central Art Center before Downtown Santa Ana’s October Art Walk. I have been invited to present at Cal State LA to talk about how life's experiences thread their way into my artwork and how my Vietnamese American experience has influenced this work. In addition to collaborative exercises, I will be discussing some ways in which one can begin or continue this important intergenerational dialogue in order to connect more deeply to one's history. We will also be screening "Honoring Life: The Work of Trinh Mai", produced by The Artist Odyssey, directed by David and Barbarella Fokos, and winner of the Audience Choice Award for Best Short Film at Viet Film Festival 2016. A special thanks to Mr. Minh Triet Dao and the Golden Eagles for having me! It is my privilege to be invited to show at VASCAM's inaugural exhibition in San Jose. VASCAM is a non-profit organization whose mission is to cultivate, nurture and promote creative arts and music by Vietnamese Americans and Vietnamese overseas. A special thanks to P.Q. Phan for the invitation! OUT OF THE MARGINS is diaCRITICS’ Vietnamese American Literary Series, which curates literary work from poets, writers and artists of Vietnamese-American and Vietnamese diasporic experience. The mission of this series is to create an inclusive, diverse, provocative, ongoing space for voices and visions from this community, thus bringing them out of the margins. It is a privilege to have my “Third Eye” and “We Are Here” series featured in OUT OF THE MARGINS. Thank you Diacritics and Dao Strom for your interest and for sharing my work. I've been invited to Professor Judy Wu's Viet Nam War class to speak on how my art practice ties into the life I've known here in America, and the life I've known of Vietnam through the inherited memories of my family members and those who have been willing to open up and share. Thank you, Professor Judy Wu, for the warm invitation! I am very excited to be presenting my work at this year’s AAAS Conference! For our panel, we will discuss differences and overlaps among three oral history projects: the Vietnamese American Oral History Project (VAOHP, University of California, Irvine), the Korean American Oral History Archive (Young Oak Kim Center for Korean American Studies, University of California, Riverside), and the Marshallese Oral History Project (Marshallese Educational Initiative, Arkansas). Focusing on the eclectic life histories of Vietnamese, Korean, and Marshallese people living in the United States, each panel participant will discuss the different approaches to and applications of oral history - ranging from the implementation of life narratives in educational curricula, to community engagement initiatives and cultural and artistic production. Core themes of reimagining entry-points, gateways, and departures, each participant also discusses thronging dimensions of migration, relocation, and (re)settlement. The exclamation “I can’t breathe” was made by Eric Garner, an African American man, 11 times while lying face down on the sidewalk after being placed in a police chokehold. He died one hour later from a heart attack due to injuries to his neck and chest. A grand jury decided not to indict the offending police officer. “I can’t breathe” has become one of the most recognizable utterances of recent protests against oppression. I Breathe With You establishes the artist as an ally to people and communities that suffer social injustices another atrocities. It's a new experience for me to see my work from the outside, and it's such an honor to opportunity to share my work, and to have it so beautifully documented by such talented and passionate filmmakers. Thank you, Chris, David, Barbarella, and Silvin, for making this lovely film, and to Viet Film Fest for providing us with a platform to share our work! Shangri-La Springs is home to eight acres of sacred ground in the heart of Old Bonita. Built as a hotel in 1921, this property now serves as an organic wellness and experiential learning center, offering a variety of programs and events for mind, body, spirit and sustainable lifestyles. I am very happy that a collection of my work will be showing in this magical place, where it shares Shangri-La's mission to promote purity, balance, and peace of mind. In 2012, I was brought on board as Artist-in-Resident for UC Irvine's Vietnamese American Oral History Project (VAOHP), and the time has come for our traveling exhibition! I've been brought on to wade through their vast resources, sift through the things that inspire me (must sift - there is so much! ), and make work to help translate these stories. VAOHP in partnership with Orange County Parks presents this interactive exhibit which chronicles the history and diversity of the Vietnamese American community in Orange County over the span of 40 years. Also included will be additional programming, such as speakers, performances, film screenings, and presentations as well as educational workshops. We are extremely grateful for the amount of community support we have received. Donate to VAOHP and help us continue documenting history. 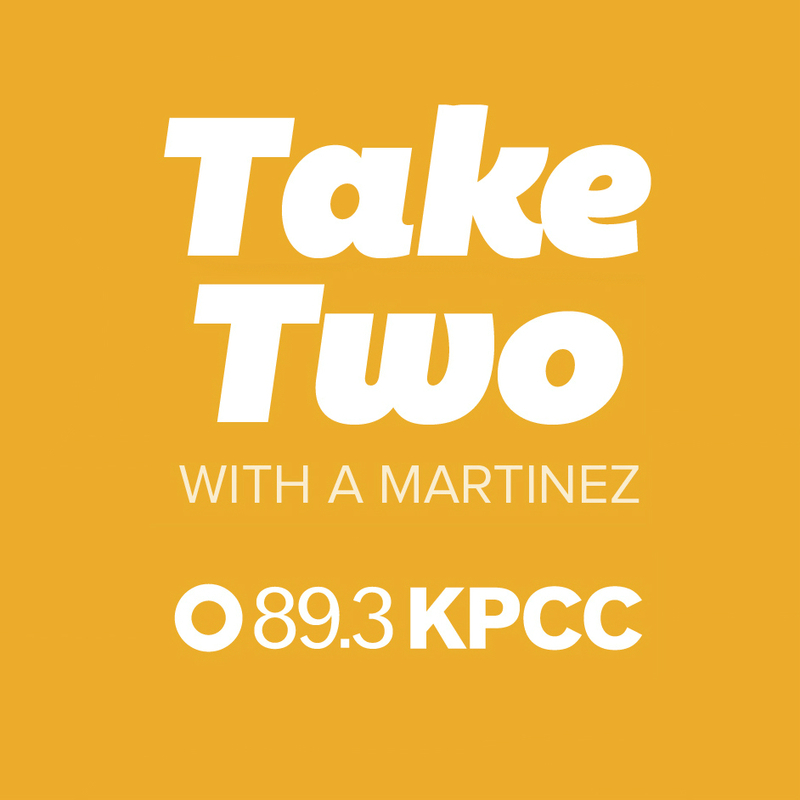 Also, read the articles covering this show in the OC Register and in the Los Angeles Times, listen to our interview on NPR, and check out our promo spot! Beginning in December of last year, I began working with the Pacific Symphony to design an installation for the Segerstrom Concert Hall for their Lantern Festival to celebrate the 2016 Lunar New Year of the Monkey. This installation incorporates over 250 lanterns that have been hand-painted by students of the Irvine Chinese School and the Nguoi Viet Class of the Bowers Museum Treasures Program. Thank you to the Pacific Symphony for giving me this opportunity to do community work through art and showcase our students work in this oh-so-memorable collaborative project! A very special thanks to Alison Levinson-Nitzsche, Kelli Rust and the Pacific Symphony staff, and also to my amazing crew, Victor Lopez, Matt Southgate, and Louie Lambaer for all your hard work and for being so wonderful to work with! I have been invited to present for this oral history symposium and speak about my work and how it applies to the preservation of oral history, and I'm grateful to have this opportunity to share ideas with and learn from some of our leading academics! As UCI enters into her 50th year anniversary, I have been invited to present at this year's conference to speak on how visual art helps shape our personal, familial, and communal identities by opening up a space for discovery through storytelling. My goal for this talk is to encourage young people to spend time with the elders in order to learn more about our own family histories and our collective histories. Thank you, APSA for the invitation. Go Ant(L)eaters! How funny are these creatures, though? This exhibition aims to present a survey of the thematic concerns of artists of Vietnamese heritage and artists inspired by Vietnam over the past forty years. Themes such as change, displacement, identity, and memory are particularly relevant. By presenting many “hues” of artworks, we hope to express the multiplicity of generations of artists and viewpoints, and to counter black-or-white, good-or-bad judgment and politics. On display will be works of art produced since 1975. One of my earliest memories of learning about Alzheimer's was in the seventh grade. My best friend at that time had stood beside her grandfather as he lived with this crippling disease. I was unable to comprehend how one's life memories could be forgotten and then recalled from just one moment to the next. It is my great pleasure to partner with Alzheimer's Orange County as a "pairing artist" for their upcoming open house and exhibit. For this project, I'll be creating a work of art that is inspired by a client's painting from the Memories in the Making class, a unique program that allows persons with Alzheimer's disease or other dementia to create their own messages and reconnect to their memories through the non-verbal language of art. Each duo will have their work presented together, with proceeds benefiting Alzheimer's Orange County, to support their passion in caring for those who have been effected by this disease, and to help them in their quest for finding a cure. I have chosen to make work based on Dr. Justin David Call's lovely watercolor painting, "Only There", and I'm looking forward to seeing what currents flow through our works! I’m very excited have been invited to show at 3rdSpace’s gorgeous co-creative space! 3rdSpace is a private club made up of community-oriented, ideas-driven, change-making, innovators, thinkers, and other passionate creatives who love what they do and care about how it influences a positive change in our world. It’s been a wonderful experience to have worked with such genuine, passionate people. A special thanks to Marc Chew for your insight and your uplifting energy! OCAPICA was established in 1997 with the mission to build a healthier and stronger community by enhancing the well-being of Asians and Pacific Islanders through inclusive partnerships in the areas of service, education, advocacy, organizing, and research. I'm happy to be donating two pieces to join OCAPICA in its support of API wellness! I've been privileged to have worked with The Artist Odyssey (TAO) as a Season 1 guest. At both 3rdSpace and TAO Studios, I will be showing work alongside artists within the TAO network. Coupled with the desire to share artists' inspirations, methods, and modes of thinking with the motivation to support arts in education, The Artist Odyssey is a global network that strives to bring the community together through art. Check out their first released documentary, "Honoring Life: The Work of Trinh Mai", which won the Audience Choice Award for Best Short Film at Viet Film Fest 2016. Thank you for supporting the arts! Back in May, when I had interviewed with KPCC at their Pasadena studios, we had print-outs of a few featured pieces in hand. I was excited for producers A. Martinez and Dorian Merina to see the works in person this time when they came by Vietnamese Focus: Generations of Stories to interview Co-curators Linda Trinh Vo and Tram Le, VAOHP’s artist-in-residence, yours truly. We were able shared a bit about the meaning behind the show, what guests could expect to see, and the inspiration behind some of the artwork. Thank you, Dorian and A., for coming down to OC and spending the day with us and helping us spread the news about our show! Last November, I partnered with the Pacific Symphony and the Bowers Museum to create and facilitate a course called "Painting Music", and what a very special project it was. My grandmother, who greatly appreciated classical music, had just passed. This was a unique opportunity to study and to hear the music the way she had always listened to it - with such fervor and wonder. As we helped our students open up to the movement and emotions that music communicates, the experience became instrumental in helping me grieve and pay respects to my grandmother's life. Now, just shy of the one-year anniversary of Bà Ngoại's passing, the Pacific Symphony has invited me to show at their upcoming concert. Join us as we celebrate the world premier of the Pacific Symphony's composer-in-residence Narong Prangcharoen's Orange County-inspired composition, Beyond Land and Ocean, which will be coupled with Beethoven's Ninth. When Beethoven conducted his Symphony No.9, premiering in 1824, he heard not a note as he was profoundly deaf. Neither did he hear the five standing ovations for the most epic choral work ever composed. Lost in the music that played within his mind, he continued conducting the piece wildly, not noticing that the piece had ended. A cellist from the orchestra stood up and tapped Beethoven on the shoulder, and only then did he turn around to the well-deserved standing ovation. This is the same passion that can be felt in his music today. I am so very happy to announce that I've had a very special piece accepted into the inaugural Artist Alliance at the Museum show. A big thank you to OMA for the amazing support you've shown to all of us artists, and to the juror, renowned art critic, curator and historian, Robert L. Pincus, for choosing my work to be included into the show! April 30th marks the 40 year anniversary of the fall of Saigon, the birthplace of my mother, my father, and my husband. My mother was with her family when Grandmother and Grandfather rushed the children out of the house and out to the docks. At that time, my father was at sea as a naval officer, and never had the chance to step back onto the land which would no longer be South Vietnam. This is one of many stories that have been born from the time our South Vietnam fell into communist hands. Read more about our story. In honor of this day, KPCC will be running a week long series called "After Saigon" to share the diverse voices of Vietnamese America. As part of the series, they will be exploring the arts & culture of Vietnamese artists from southern California. I have been invited to come on as a guest and sit beside writer, poet and performer Lan Tran and spoken word artist and poet Cara Van Le, and I am so grateful for the opportunity to share our stories of how memory, war, and healing have propelled our work. Listen to interview and view photos from the studio. I am so utterly in love with this City, and it's so good to be staring 2015 with a solo show here! A diverse collection of my works will be on display, revisiting the old and debuting the new. A special thanks to all who took part in making this a reality! It is my privilege to be visiting SFSU to talk some art with the bright minds of the Asian American Women's Literature & Art class. During this talk, I'll be sharing a bit about my background and my inspirations which stem from the need to understand, to discover, to heal, and to honor the important things. Touching on stories of failure and moments of accomplishment, and keeping faith in potential, it is my honor to share these facets of my life as an artist and as a person in this world who continues the search. Thank you so much for having me! Go Gators! Sponsored by Boys & Girls Club of Garden Grove, Viet Care, and Nhan Hoa Clinic. I have been invited to share my work on the mic for this event which will be focusing on healing through art, and I'm happy to be doing so alongside four other very passionate poets. After the reading, there will be a panel discussion during which we will have a chance to share our personal experiences the challenges in life, how these challenges affect our mental health, how we use art to deal with these challenges, and how we go about sustaining our progress.